I started a new job a few weeks ago. While I love my new job, it has been quite a change for me. My last job had me on my feet all day. I was used to being on the run. With my new position, I am at a desk more the majority of my day. Not only am I not getting as much activity, I am also snacking much more while sitting at my desk. I needed to find healthy snacks to bring to work that did not make me feel guilty. 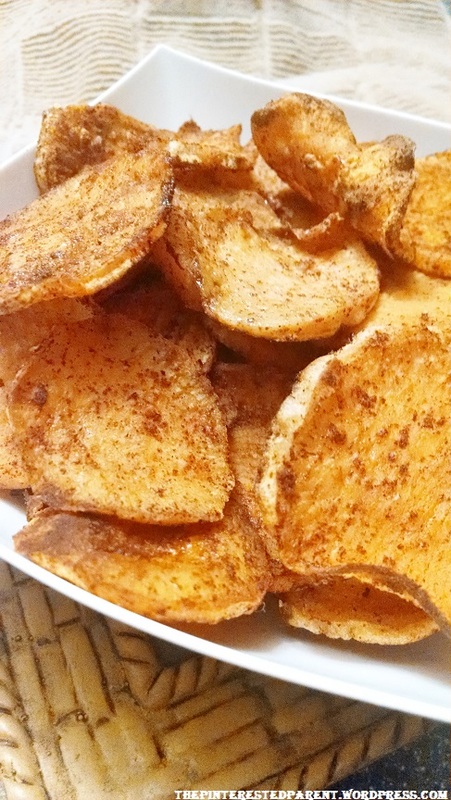 A while back my mother-in-law bought us a bag of sweet potato chips & I absolutely loved them. How difficult could they be to make at home? The baking can be a tricky process. Watch them carefully to make sure that they do not burn. 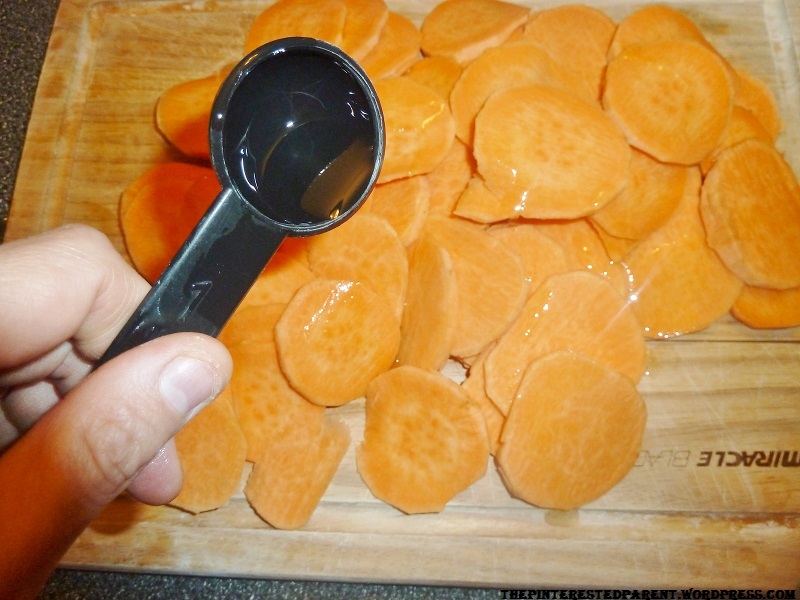 If you have some slices that are thicker or thinner than the others they will cook differently. 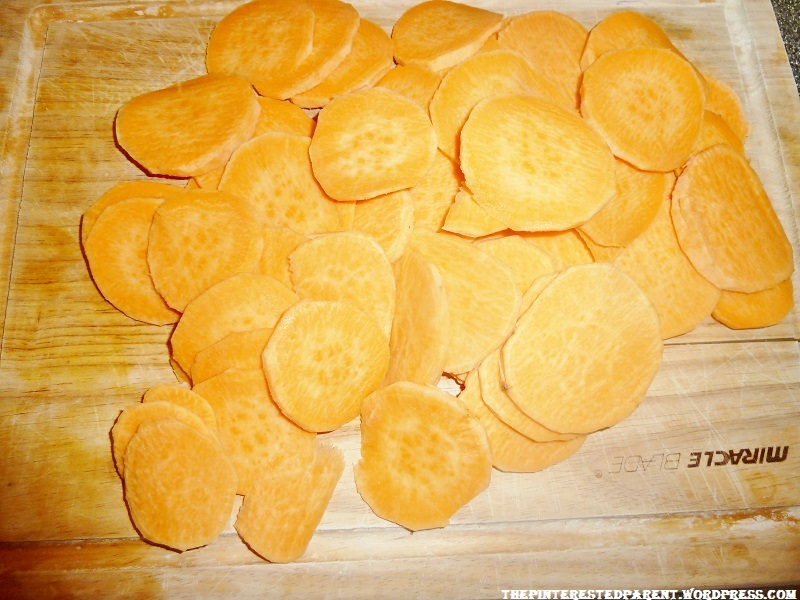 Thicker cut slices may not be crisp. I made these to bring to work the next day but ended up eating almost all of them as a late night snack. I guess I will have to double the batch the next time. I hope you try them. I ate almost the whole thing last night. Lol! They were yummy. Can’t go wrong with crisps! 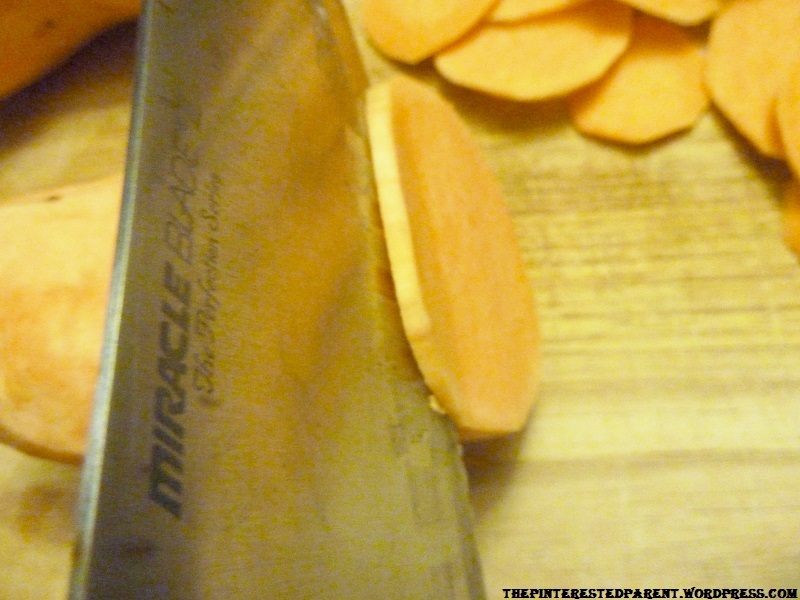 I love sweet potato, so these are perfect for me. I am such a bad snacker. These look so good! 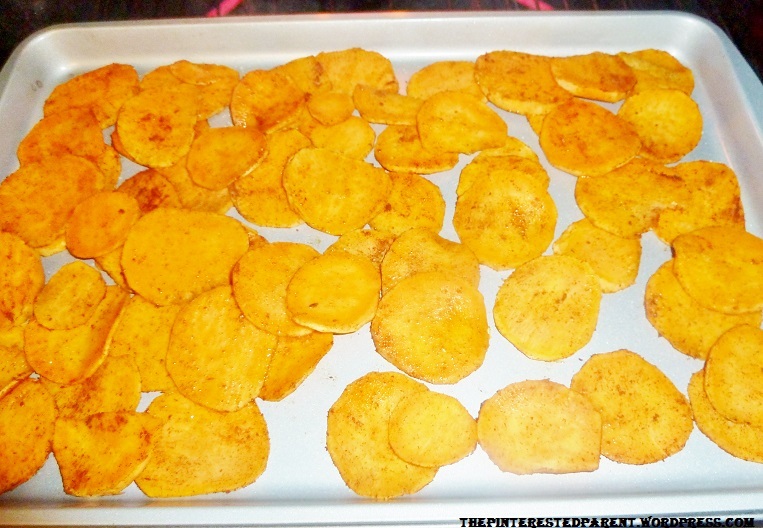 I was JUST thinking to myself that I would love a homemade recipe for something like Terra chips (they are so expensive!) and now I’ve found it! Can’t wait to try! Oh good. I hope you like them.